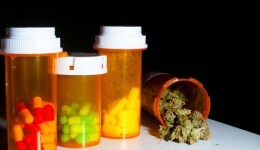 Home / Articles tagged with "narcotics"
Is medical marijuana an alternative? For some patients, doctor-prescribed painkillers may simply lead to more pain. Learn more. Study results place ERs in the spotlight for screening and intervention opportunities. A recent report from the CDC says deaths from prescription painkiller overdoses among middle-aged women are up 400 percent.